Sicily is a captivating island and a destination that draws you back again and again. Quintessentially Mediterranean, and a crossroads of trade and commerce since ancient times, Sicily is a mix of many civilizations. Ancient Greeks founded many of Sicily’s most important towns, including Syracuse, Catania, Taormina, Naxos, and Messina. Phoenicians, Romans, Arabs, Normans, the Spanish, and the French followed successively and it is precisely this mix of cultures that makes Sicily so unique and appealing. The island’s architecture is rich and varied and the food is to die for! Sicily is a lot larger than many visitors expect and impossible to visit properly in a week as there is so much to see and do, from wine tasting to visiting ancient Greek ruins to sailing out to volcanic islands. There are over 1400 kilometers of coastline in Sicily! So we have designed various itineraries (which can be combined) to show you the “best of” the west, the east, the scenic Aeolian Islands. 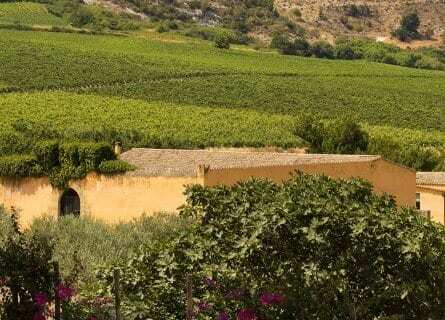 This particular wine tour in Sicily concentrates on the western part of the island and includes a variety of experiences, including the one and only Palermo; touring and tasting in Marsala and other smaller wine regions; sightseeing; and some spa time at the exquisite Kempinski resort. 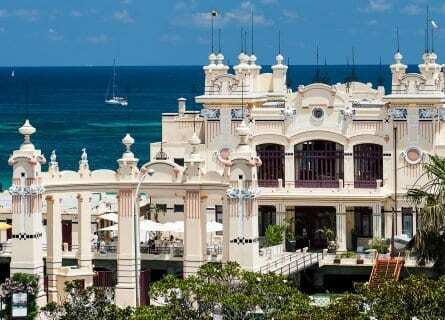 You will begin in Palermo, and for the next few nights will be staying at the historic Villa Igea, where you might run into Robert Dinero or other visiting celebrities. 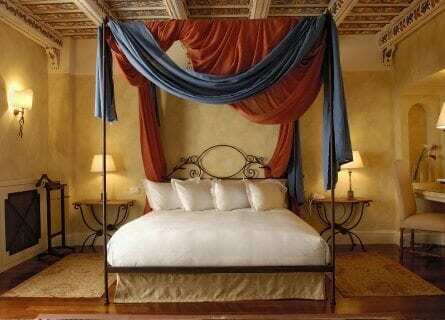 Just over a mile outside of the historic center, this is a relaxing place to stay while in Palermo. Highlights to come include the seaside town of Cefalù, with its many ceramic shops, cafes and cute restaurants. 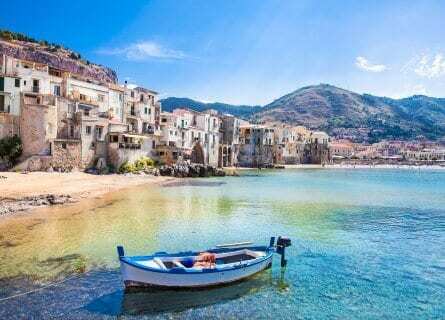 You will spend the day in charming Cefalù, enjoying a private tour (including the splendid Cathedral, one of the most beautiful in Europe) and admiring the dramatic scenery (the village is squeezed in under a steep rocky outcrop jutting out to sea). From Palermo, you will enjoy a short sail aboard a private motor launch into picturesque Mondello, with its Saracen tower and colorful fishing boats. You will dine on the water at the unique Charleston restaurant. Head southwest and visit the Greek Temple of Segesta, set in a pristine meadow and dating back to the 5th century BC. You will also visit medieval Erice, perched on Mount Erice overlooking Trapani. Its Norman castle and citadel rest on rugged mountains and Erice is nicknamed “city in the clouds”. Wine tasting at top Sicilian cellars is in store for you on this tour and you will visit leading estates like Tasca d´Almerita, Planeta, and Donnafugata over the next week. Marvel at the sea salt mounds near Trapani and indulge in sea salt spa treatments, including your own private salt bath in a swimming pool. Finally, it wouldn’t be a Cellar Tours vacation without some unforgettable dining and you will taste an array of traditional local dishes that could include Crespelle di Ricotta e Acciughe (sinfully delicious deep fried ricotta and anchovies); Caponata (a sumptuous eggplant/aubergine antipasto); Pasta Alla Norma (pasta with a savory eggplant, ricotta, and basil sauce); one million variations of Pesce Spada (swordfish) and (believe it or not), seafood couscous, particularly in Palermo, a reminder of Sicily’s Arabic past. Sicily also has a sweet tooth and relishing freshly made Cassata is one of those “must do” experiences in life. This tour combines unique sightseeing, pampering and plenty of wining and dining! Arrive at Palermo airport or port and your friendly driver guide will be waiting for you. Your first stop today is Cefalù, about an hour drive east of Palermo passing the ancient sites of Solunto and Bagheria. This small, alluring town faces the sea and is a wonderful place to spend your first day in Sicily. You will have your own private guide who will take you on an interesting tour through the winding medieval streets and of course into the striking cathedral. Lunch will be at a quaint trattoria and could include authentic Sicilian dishes like Insalata Fantasia di Arance (orange and marinated olive salad), Arancini (rice balls stuffed with Pecorino cheese and meat), Bucatini con le Sarde (pasta with sardines) and then finish off with some just-made cannoli….all paired with ambrosial Sicilian wines like a rich red from the Abbazia Sant´Anastasia estate and perhaps a rare Moscato di Noto. After a leisurely lunch, enjoy some free time to do some shopping or strolling in Cefalù and then head back to your luxurious hotel in Palermo, an Art Nouveau castle facing the port. The evening is yours to relax at the hotel, dine in their fine restaurant and enjoy the facilities like the swimming pool, and tennis court. Benvenuto in Sicilia! Today you can look forward to a private VIP wine tour at a top estate such as the magnificent Tasca D’ Almerita. Leave the chaos of Palermo’s traffic for the quiet interior and its gently rolling hills. The area around Vallelunga is beautiful in all seasons- spring brings a symphony of wildflowers; summer sends gentle breezes off the coast; autumn transforms this region into a patchwork of vineyard colors; and winter is a time for sunny, crisp days, rich red wines, and hearty Sicilian cooking. You will arrive at the wine estate around noon and enjoy a private tour followed by a special pairing of wines and rustic homemade dishes, this is a five-course extravaganza! All of the ingredients used (olives, garlic, eggplant, peppers, basil, oregano, fennel, sun-dried tomatoes, Pecorino cheese, and of course the wines) are all grown on the Tasca D’ Almerita estate. Following lunch in the beautiful ceramic tiled dining room, enjoy a walk in the vineyards, to aid the digestion and get some fresh air. Head back to Palermo in the late afternoon and unwind at your hotel. The evening is free with our suggestions for wine bars, dining, and entertainment. In the late morning, you will visit nearby Mondello by boat, and you will meet your captain right at the hotel. Sail northwest along the Gulf to Mondello, half way between Capo Gallo and Monte Pellegrino. There is a colorful small port and you can see the fishermen bringing back the day’s catch. Don’t forget the camera! An elegant seafood lunch at the Art Nouveau-inspired Charleston Le Terrazze is up next. Taste refined Sicilian cuisine and fine wines here and take in the view over the sparkling sea. After lunch, head back to Palermo and enjoy a three-hour guided walking tour of the enchanting 12th-century Cathedral (most recently added on to in the 1700´s) and nearby gourmet shops. The unique Martorana Fruits (Marzipan shaped to look like real fruits) come from Palermo and there are a few special, historic shops near the cathedral where you can pick up these and other gourmet goodies (great gifts). Enjoy your knowledgeable guide’s stories about Palermo’s legends and idiosyncrasies. In the evening, you will head back to your hotel for a free evening. A tour of the best of the west is on the program today. From Palermo, your chauffeur will drive you southwest to Segesta, an Ancient Greek settlement. You will gaze with wonder at the Doric Temple resting peacefully in a grassy field for the last 2500 years. Enjoy an hour or so in the archeological park before carrying on to mystical Erice. What an extraordinary little village! Overlooking the sea and high in the hills, you could almost take Erice for a Sicilian version of Camelot with its coastal fog and fairytale castles. From Erice, you can see the Egadi Islands, which make an interesting excursion if you wanted to add a day to this itinerary. You will have a tantalizing pranzo today at Monte San Giuliano where Chef Matteo Giurlanda is to thank for some of the best pasta you will taste in your life. Enjoy a specially prepared traditional menu paired with excellent local wines such as the Fazio and Firriato estates. After lunch, savor some free time to explore Erice’s maze of medieval stone streets on your own. There are many beautiful panoramic spots to take in the views and a visit to the mythical pastry shop La Pasticceria di Maria Grammatico is a must. In the evening, you will drive towards Mazara del Vallo to the outstanding Kempinski spa resort. Tonight is yours to relax and dine on your own, or order room service tonight and make it special with a few candles and some fabulous wine. The impeccable rooms have some of the most comfortable beds we have ever had the pleasure of sleeping in, through our many years of travel. After a superb breakfast (you are utterly spoiled for choice here), you will travel inland towards Sambuca for some wine tasting tours. Visit a high-end estate such as Planeta and perhaps a contrasting smaller estate. 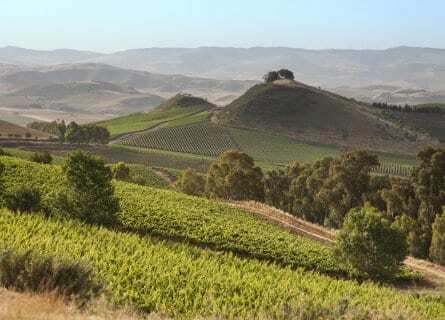 Planeta is one of Sicily’s leading wineries and they make a stellar range of wines as well as premium olive oils, which you will have the chance to taste. The Fiano based Cometa wine is a luscious explosion of tropical fruits, terrific. Enjoy a convivial lunch right at the wine estate in their ancient “Baglio”. If you are lucky, their in-house Piemontese chef will be cooking for you and in that case, your lunch might have a northern Italian flair to it with an outstanding Risotto for example. On the way back to your luxury spa resort, you could stop in Selinunte if you were interested in archeology as there is a Greek “Valley of Temples”, very interesting indeed. Otherwise, you could get back to the hotel early to hit the spa. The night is yours to enjoy the resort. Get ready to do some serious relaxing today! The Kempinski Giardino di Costanza spa resort offers Daniela Steiner treatments (famous for her luxury spas in Egypt and Montecarlo). The spa has an Arabic theme and as you enter the spa you will find Moorish lamps and mood lighting, kind of like a Moroccan Rhiad. 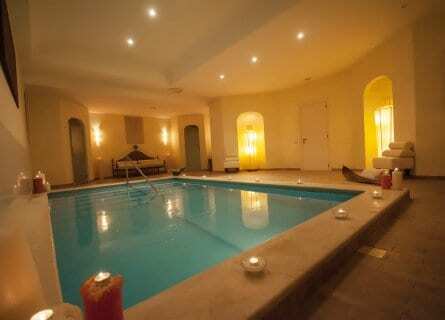 The flagship treatment, which you will indulge in, is the “Sicilian High Salt Energizer”. In a private room with a floating pool and space for 2 special VIPs, you will enjoy this salt treatment with marine salt from Trapani (which you will actually see tomorrow!). This takes a few hours and includes a refreshing Sicilian orange citrus shower and massages, and you will be floating on air when you finish. Relax and enjoy lunch on your own. If you wanted to enjoy other spa treatments on your own they could include the “Essential Flower Body Scrub”, a refreshing and invigorating body peeling with myrtle, lemongrass, and spruce; “Fresh Lemon Bath”, a firming vitamin bath with sea salt and fresh lemon slices; “Special Skin Care for Two” purifying treatment with volcanic clay from Mount Etna, herbal steam and a relaxing milk honey Cleopatra bath; or perhaps the ultra-pampering “Spirit of Four Hands” massage with two massage therapists massaging you at once! In the late afternoon, with a private sommelier, you will receive a private and exclusive wine tasting in the Kempinski enormous wine cellar focusing on six Sicilian wines from the East, such as Etna, the Aeolian Islands, Cerasuolo di Vittoria, and Noto. Tonight, you can dine again at the hotel or taxi into nearby Mazara del Vallo (10-minute drive) to try some excellent authentic fish restaurants. Today is the last day of this gourmet wine tour, and you have some wonderful things awaiting! Check out of your luxury hotel and head towards Marsala. While its history dates back to ancient times (there are even some Ancient Punic remains including a warship at the Archaeological Park of Lilybaeum right outside of the town), Marsala was bombed mercilessly during WWII and much of the city’s architecture now is lackluster concrete tower blocks built in the 1960s. You might pass through without stopping if you didn’t know what wine treasures lie hidden beneath. Your first visit is to Donnafugata, one of our favorite wineries in Italy both for the wines and the people. Apart from making a stunning range of wines, this estate is also famous for their leading lady’s musical talent (co-owner José Rallo is a wonderful recorded singer) and for their numerous charitable works. You will enjoy a private VIP tour of the “Baglio” and “Barricaia” and then taste a range of dry red and white wines, finishing with their spectacular Ben Ryé Passito di Pantelleria (from the far-flung Sicilian island of Pantelleria). Enjoy a light lunch at the cellar, in their large sala with the photogenic Botte barrels. 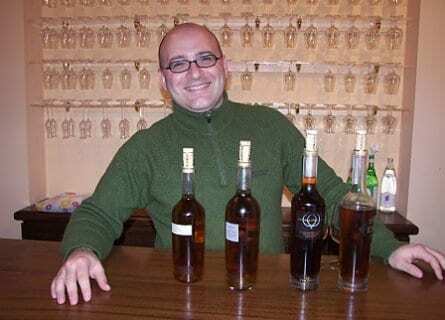 Following lunch, you will visit the atmospheric wine museum at Florio. This is one of the prettiest wineries in Italy and your host Marcello has an absolutely effervescent personality, what fun! You will learn all about the wine and the history of the estate (this is nearly a national monument in Sicily) and then you will finish with a very special tasting in a private room, of Florio’s best wines such as their Passito di Pantelleria, Malvasia Delle Lipari (from the Aeolian island of Salina), their Baglio Florio Marsala Extra Virgine and their 15-year-old Donna Franca Marsala- precious and rare! On the way back to Palermo you will pass by the unusual and impressive sea salt mounds and stop for a visit at the Saline Ettore Infersa Saltworks, a producer, and vendor of super high-quality sea salt. Very interesting visit and a great idea for gifts! In the evening, you will be dropped off in Palermo at your destination of choice (we can add additional days to this itinerary or you can book your own hotel tonight), and this concludes a fascinating week in Sicily. We look forward to planning your next trip to Sicily as you will be back for more! Ciro Biondi was an amazing experience! The food was wonderfully simple and fresh. Absolutely delicious! Ciro and his wife. Cottanera was great. Again, simple, fresh and way too much. Il Duomo, OMG!, was over the top. The chef and staff were amazingly attentive and the experience was like no other. The driver Sebastiano is a sweetheart. He actually gave us some of his wine and fruit from his own garden. Siracusa Tour guide Enzo was very knowledgeable. He definitely went above and beyond my expectations. I would definitely recommend you again and again and again!! We are now back home and I wanted to write and thank you. Simona and your staff for another wonderful tour. The scheduling and planning were perfect and I know that requires familiarity with the area and locations. The winery selections were fabulous and we enjoyed meeting many owners and winemakers. All of your recommendations were on point. Every day was memorable. Our drivers and guides were personable and became our friends. I sound effusive, but my appreciation is real. Well done. We look forward to the next food and wine adventure.